As outgoing President of the Lake George Day VIEW Club having served two years in this role it is my privilege to present this report. 2011 was a year that had many activities and much innovation in not only our VIEW Club but also in all VIEW Clubs across Australia. In 2011 our Club made the decision to self cater at the Bywong Community Hall. This brought with it the added responsibility of members to not only provide the food but also set up the tables and chairs, cutlery and crockery, keep food warm then washup and put away all items and sweep the floor. The Bywong Community Association was very helpful in providing us with heating in the Hall, new crockery, new stove and a space to keep our items in sealed plastic storage boxes. All the members contributed to the catering and hall upkeep activities. Having the meetings in this informal setting allowed members to socialise more freely and get to know each other on a closer level and to keep our luncheon costs to a minimum. This was also the year that we embraced a new operating structure put together by the National Vice President Fiona Spottiswood and a founding member of our club. The Team Structure is a way of including all members of the club in the functionality of the club and by doing so providing the experience and knowledge required in a safe supportive environment. Our Club is building a rapport with local sister clubs in Queanbeyan, Bungendore Goulburn and Cooma and these VIEW club members are also supporting our own Club special events such as our Lake George Birthday by their attendance. This is the beauty of VIEW Clubs- an instant social network amongst members of other Clubs. Book vouchers were given to 3 local schools, cards were sent, members visited, craft working bees attended and team spirit encouraged throughout the year. We had a number of speakers throughout the year talking to us on a variety of subjects from a war historian to personal fitness coaching and featuring a variety of cuisine varieties from ploughmans lunch to sauerkraut and German sausages. 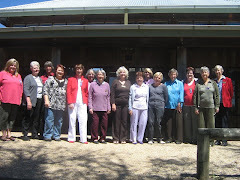 Our Club has 22 Financial members as at August 2011 with two more ladies to signup at the beginning of 2012. To keep our Club viable and exciting I encourage members to invite their friends to attend meetings and join our Club, the more members we have the greater the fun and socializing and the easier to share in the workings of the Club. As you are all aware we are a club that caters for all ages of women who would like to meet other women in the area and surrounds, strike up new friendships, enjoy a meal and support the Smith Family. These are four great reasons to join our Day Club but if you can not come during the day because of work or other responsibilities, then the Bungendore Evening club provides the same type of services and meets in the evening instead. You can also join both clubs and attend a day and an evening club for greater social exposure and interaction as a number of our members already do. Admin-June, Finance-Bernie, Welfare-Joanna, Programme-Anne W.
These ladies took on the Team Leader roles with gusto and did a sterling job within a new structural system. As with any new system there are always teething difficulties but none that can’t be overcome with the will to have a happy, useful and well functioning club. I would like to thank each and every Team Leader for the coordinating work that they put into their roles and each team member for their contribution for the smooth operation of their team by performing their assigned duties. Ladies, without this type of interaction nothing can be achieved in a club, so congratulations, well done! It has been a privilege serving the Club in the capacity of President and has highlighted for me areas that I will work on in my own personal and professional development and given me the opportunity to make new friends and grow 'old' friendships to a new level aswell as provide assistance to the Smith Family in the Learning for Life programme. I thank you all for your support and friendship and wish the LGDVC continued success and growth.